Shannon Minter, Legal Director, National Center for Lesbian Rights. Alyn Libman, high school student from Hollywood, CA. Teri Erickson, mother of student from San Carlos, CA. Peter Simack, Principal, Marchus School, Concord, CA. Karen Humphrey, Equity Consultant, Department of Education, Office of Workforce Development. Progga Choudhury, Lead Victim Advocate for the Los Angeles Gay & Lesbian Center’s Anti-Violence Project. Duran Hernandez, recent high school graduate from Clovis, CA. Nikira Hernandez, high school student from Santa Cruz, CA. Kate Frankfurt, Consultant, Children’s Rights Division Human Rights Watch. Deanne Neiman, Director of the Education Equity Compliance Office, LAUSD. Ernie McCray, retired educator and administrator from San Diego. Barbara Delbon, KLEAR (Kids Learning Empathy and Respect) San Mateo Union High School District Coordinator. 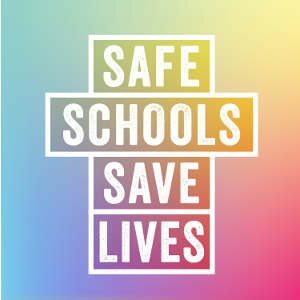 Pam Chamberlain, Senior Trainer, Safe Schools Program for Gay and Lesbian Students, Massachusetts Department of Education. Kirk Bell is the Policy Implementation Specialist for GLSEN, a national organization whose mission is to end homophobia and heterosexism in the nation’s K-12 schools. Kirk has managed GLSEN’s San Francisco office since 1999. He works with local GLSEN chapters, safe schools coalitions, and other groups to ensure effective implementation of new and existing LGBT- inclusive statewide safe schools laws and local policies, and coordinates/conducts a variety of trainings for GLSEN. Prior to being hired on the staff of GLSEN, Kirk Bell started a GLSEN chapter in Seattle in 1995 and did related work in Washington State, including serving on the leadership, research, and intervention teams of the Washington Safe Schools Coalition from 1997 – 1999. Kirk has 17 years of classroom teaching experience in rural, suburban and urban schools in all grade levels, K-12, from 1981-1999. His two avocations are queer history and abstract cartographic art. 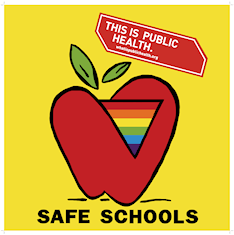 Pam Chamberlain is a senior trainer with the Safe Schools Program for Gay and Lesbian Students at the Massachusetts Department of Education. She ha s been associated with the program since its inception in 1993. A former high school English teacher, she came out as a lesbian to her school in 1974 and has been a vocal advocate of students’ rights for all youth, including members of the lgbt community , for as long as she can remember. Progga Choudhury is the Lead Victim Advocate of the L.A. Gay & Lesbian Center’s Anti- Violence Project. In this role, she assists victims of homophobic, anti-transgender, and anti- HIV/AIDS related violence, threats of violence, vandalism, and harassment through crisis intervention and advocacy. She also provides education and outreach to the community about hate crime and homophobia. She has previously assisted survivors of domestic violence, hate violence, and sexual assault in San Francisco. Barbara (Bobbie) Delbon is the KLEAR (Kids Learning Empathy and Respect) San Mateo Union High School District Coordinator. She is a retired educator who for 26 years served as an English teacher, counselor, activity director, and assistant principal. An assistant principal for 15 years, she was responsible for the discipline of about 1,000 tenth, eleventh, and twelfth grade students. Because of these experiences, she knows that the window of time between disrespectful language and violence is small and shrinking. Consequently, she was pleased to be asked to implement the KLEAR Program in the San Mateo Union High School District and to implement “Mutual Trust and Respect” assemblies in its seven high schools in 2000-2001 as a precursor to launching the KLEAR Program. A licensed marriage family therapist and a member of the San Mateo County Commission on th e Status of Women for five years, she coordinated and implemented “Hear Me Roar,” an annual all day Saturday event for the past two years for all high school young women in San Mateo County. Background research and reports submitted for the hearing.